York 360° ~ Cafe Rouge York, French Restaurants in York, Petergate. The well known French Restaurant and Cafe-Bar in the centre of York. Cafe Rouge is located close to York Minster. 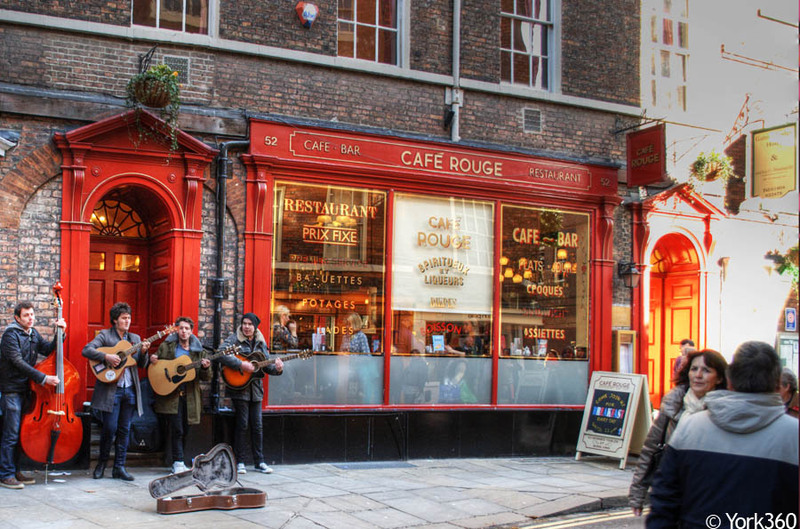 Cafe Rouge has a great location in the very heart of York on Petergate.